The 2001 Draft was a good one overall. 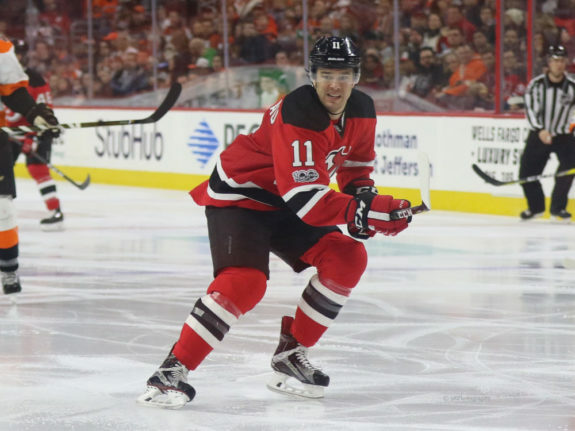 It started when the Atlanta Thrashers drafted Ilya Kovalchuk first overall, but despite a great career, he wasn’t the most productive player from the draft class. Seventeen skaters played in at least 800 regular-season games, 10 scored more than 500 points and six netminders made 200 or more appearances. All-in-all, it was a great class. 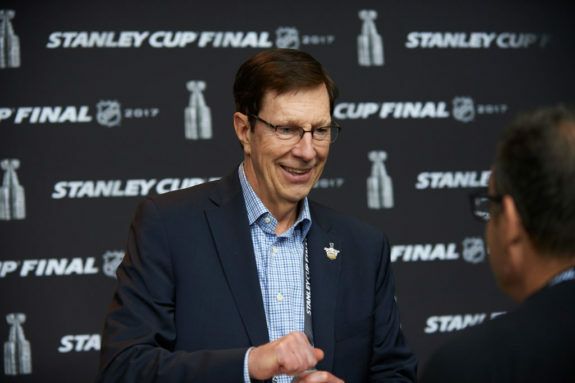 For Poile and the Predators, it was an alright class. They made nine selections, including two second and two third-round picks. Only four reached the NHL, with two reaching 100 or more career games. It was on-par with the franchise’s first three drafts. Here’s the 2001 Draft, beginning with the first round. With the 12th-overall pick of the 2001 Draft, Poile went with defenseman Dan Hamhuis from the WHL’s Prince George Cougars. He had 13 goals and 59 points in 62 games his draft season and represented Canada at the World Juniors Tournament. He played one more season in the WHL, was named CHL Defenseman of the Year, WHL Player of the Year and again played in the World Juniors. He turned pro in 2002-03 and spent the season with the AHL’s Milwaukee Admirals. He reached the NHL in 2003-04 and stayed with the Predators through the 2009-10 season. In June 2010, Poile traded Hamhuis, a pending free agent, to the Philadelphia Flyers and he signed with the Vancouver Canucks in July. He played six seasons with the Canucks, helping them reach the Stanley Cup Final in 2011. 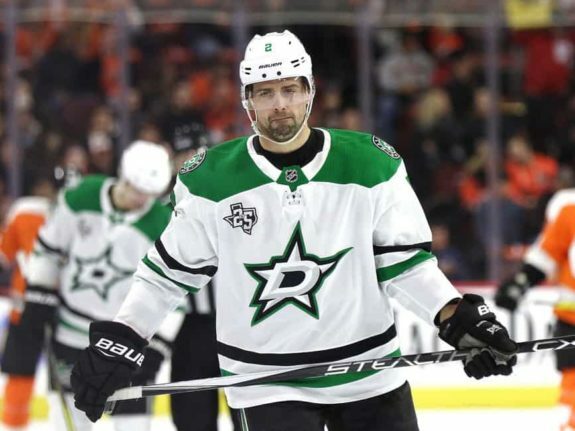 He signed with the Dallas Stars in July 2016 and he played there for two seasons. The Predators signed him to a two-year deal during the summer of 2018 for his second tenure with the team. Following the 2018-19 season, he had played in 540 games as a Predator, with 32 goals, 166 points and 32.6 point shares, and for his career 1,088 games, with 59 goals, 348 points and 72.8 point shares. Since 2014-15, he has been an owner of Prince George along with former NHLer Eric Brewer. Hamhuis also represented Canada at six World Championships (two golds, two silvers) and won a gold medal at the 2014 Sochi Olympics. Poile used this pick, originally the Canucks’ selection, on Russian winger Timofei Shishkanov of Russia’s junior league after he went pointless in 13 games. He did, however, have a good showing at the 2001 U-18 Tournament, with four points in six games. He played the 2001-02 season in Russia and then joined the QMJHL’s Quebec Ramparts for the 2002-03 season before turning pro in 2003-04. He was in Nashville’s system for three seasons, playing all but two games in the AHL, before Poile traded him to the St. Louis Blues in Jan. 2006. In his two games as a Predator, he went pointless. He played in 22 games with the Blues during the 2005-06 season and scored his only NHL points, totaling three goals, two assists and 0.4 point shares. He returned to Russia for the 2006-07 season and played in the KHL through 2014-15. In 2016-17, he signed with the Asia League, where he remained as of 2018-19. The Predators should have drafted fellow Russian Fedor Tyutin, a defenseman from SKA St. Petersburg. He played 13 NHL seasons for three teams and accumulated 872 games, 55 goals, 264 points and 49.2 point shares. 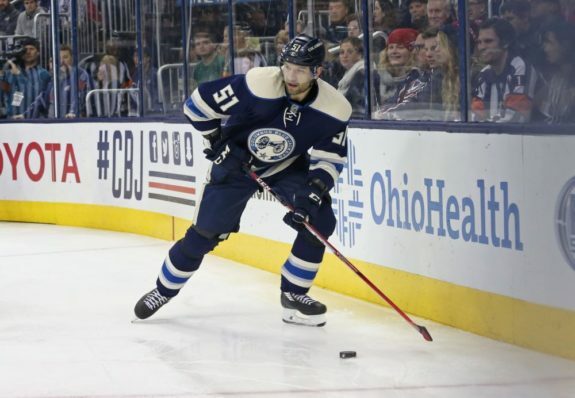 He retired after the 2016-17 season, and as of 2018-19 was a scout for the Columbus Blue Jackets. With the Predators’ second pick of the second round, Poile went with defenseman Tomas Slovak of Slovakia’s Extraliga. There he had 10 points in 43 games and played at both the U-18 and U-20 Tournaments his draft season. He played in the WHL in 2001-02 and 2002-03 and the Predators never signed him. From 2003-04 through 2005-06, he played in the Washington Capitals and New Jersey Devils systems before returning to Europe in 2006-07. As of 2018-19 he was playing for HC Košice again. Poile missed out on Jason Pominville, a right winger from the QMJHL. 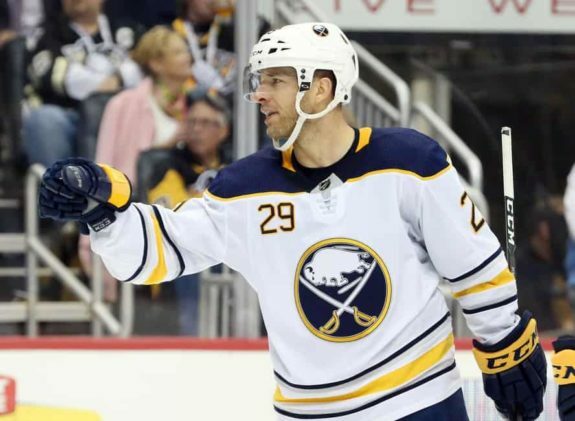 The Sabres drafted him, and he went on to have a productive career with 293 goals, 727 points and 79.5 point shares across 1,060 games and 15 seasons through 2018-19. He had three 30-goal seasons and six 60-point campaigns. The Predators’ first third-round pick was originally the Calgary Flames’ pick and Poile used it on another Russian, this time center Denis Platonov. He played in Russia’s junior league his draft season and totaled 11 goals and 17 points in 39 games. He left Russia in 2003-04, joining the Admirals for three games, but never reached the NHL, instead returning to Russia that same season. He remained there the duration of his career, and played the 2018-19 season for Metallurg Magnitogorsk of the KHL. The second third-round pick was the Predators’ own and Poile selected Austrian Oliver Setzinger with it. He played for Ilves of Finland’s Liiga, with whom he had one assist in 14 games his draft season. He also played for Austria’s U-18, U-20 and World Championship teams. He didn’t leave Europe until the 2007-08 season, when he joined the Admirals. It was his only North American season, and instead played in Switzerland, Germany and Austria. He played the 2018-19 season with Graz 99ers in Austria. The Flyers drafted Sharp out of the University of Vermont and he had a great career for a third-round pick. 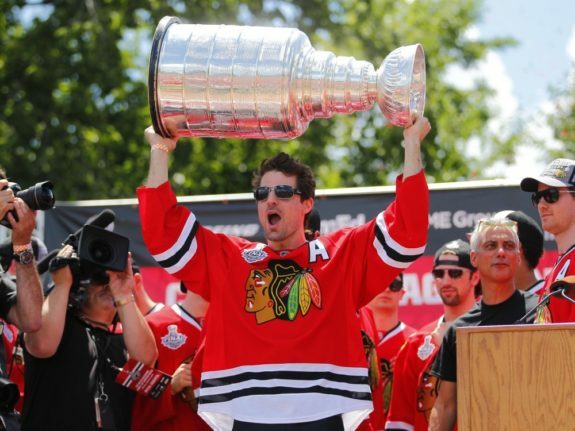 He played 15 NHL seasons and was best known for his tenure with the Chicago Blackhawks, with whom he won three Stanley Cups. He played 939 NHL games and totaled 287 goals, 620 points and 71.1 point shares. He also won a gold medal with Canada at the 2014 Olympics. The Predators drafted Jordin Tootoo from the WHL’s Brandon Wheat Kings after 20 goals and 48 points in his draft season. He played two more seasons in the WHL, and when he made his NHL debut in 2003-04 he became the first player of Inuit descent to play in the NHL. He played for the Predators through the 2011-12 season, accumulating 486 games, 46 goals, 125 points and 8.4 point shares with the franchise. He signed with the Detroit Red Wings in July 2012 and also played for the Devils and Blackhawks before retiring after the 2017-18 season. He totaled 723 games, 65 goals, 161 points and 9.8 point shares in his career. The Stars drafted Mike Smith a long time after the Predators drafted Tootoo, but it’s still a missed opportunity. Smith reached the NHL in 2006-07 and played 13 NHL seasons as of 2018-19, with 571 appearances, a 243-236-68 record, a .912 save percentage, a 2.70 goals-against average and 99.1 point shares. He finished fourth in Vezina Trophy voting after the 2016-17 season. Anton Lavrentiev, the Predators’ sixth-round pick, is a difficult player to research. According to Elite Prospects, he only played four games (in Russia’s third-tier league) in 1999-00 and didn’t play at all in 2000-01, what should have been his draft season. He played the 2001-02 season in the OHL before he returned to Russia in 2002-03. Other than one season in Belarus in 2004-05, he spent the remainder of his career in Russia and retired after the 2008-09 season. The slick-handed Jussi Jokinen was drafted by the Stars 14 picks after the Predators drafted Lavrentiev. He stayed in Finland before joining the Stars in 2005-06 and made an immediate impact with 17 goals and 55 points. He played 13 NHL seasons with 951 games played, 191 goals, 563 points and 57.2 point shares. After the 2017-18 season he returned to Europe and finished the 2018-19 season with Kärpät in Finland’s Liiga. He represented Finland at two Olympics, two World Junior Tournaments and seven World Championships. In the eighth round, Poile drafted Swedish winger Gustav Gräsberg. Gräsberg played the 2000-01 season in three leagues, including the Allsvenskan, Sweden’s second-tier men’s league. In that league, he had one goal in 12 games. He also represented Sweden at the 2001 U-18 Tournament. He never left Sweden and retired after the 2011-12 season. The Predators missed out on P.A. Parenteau, who was drafted by the Mighty Ducks 24 picks after the Predators picked Gräsberg. Parenteau reached the NHL in 2006-07 and played nine NHL seasons, including eight games with the Predators in 2016-17 after the trade deadline. He finished his career with 491 games, 114 goals, 296 points and 30.2 point shares. He played the 2017-18 season in the KHL and retired at season’s end. He was an assistant coach with the University of Moncton in 2018-19. With the last pick of the 2001 Draft, Poile picked Finnish defenseman Mikko Lehtonen from Kärpät after he scored six goals and 15 points in his draft season. He stayed in Finland through 2005-06 before joining the Predators in 2006-07. He played 15 NHL games that season with one goal, two assists and 0.6 point shares. He also played in 35 games with Milwaukee before Poile traded him to the Sabres, where he finished the season in the AHL. His 15 games with the Predators were his only in the NHL. He returned to Europe in 2007-08 and played there through 2013-14, when he retired. Once again, Poile and the Predators had an average draft. Hamhuis developed into an impact defenseman for several really good teams. But other than Hamhuis, the Predators got very little. The only positives are that four players reached the NHL and they didn’t miss on any future Hall of Famers like they did in 2000.